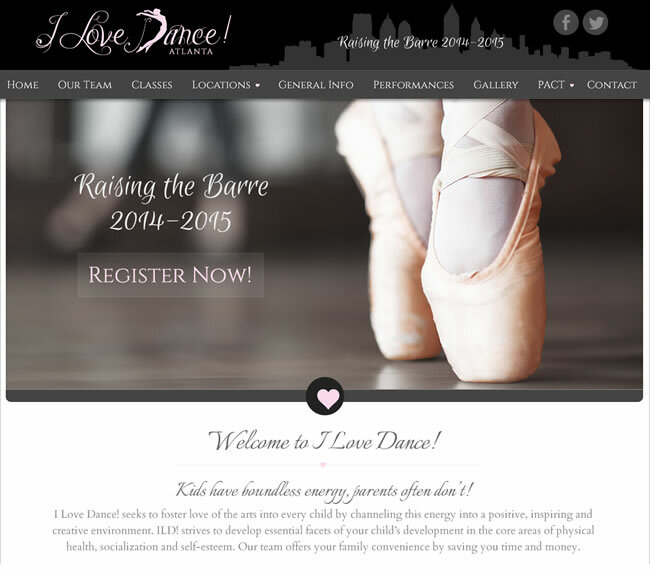 This is the second website we built for I Love Dance. The first site back in 2008 featured a pastel color palate, soft imagery and subtle detailing. To meet the director’s new vision, this new version is much more bold, designed mostly in black, white and greys, with pink accents. We also redesigned the logo to give it an updated look. 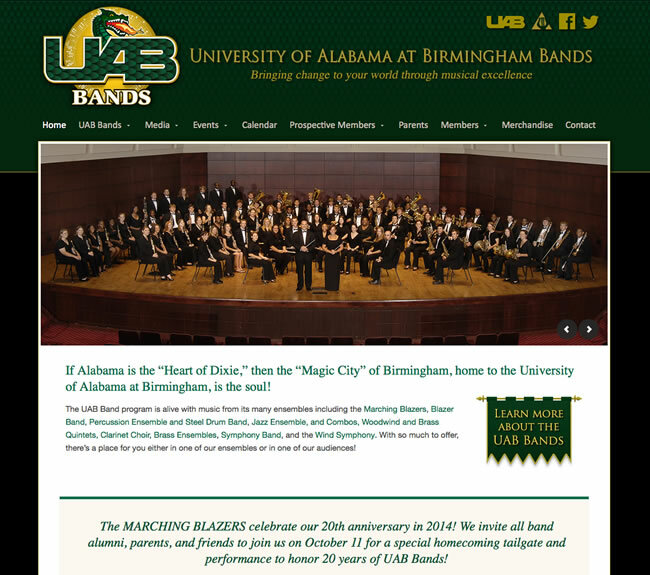 The University of Alabama at Birmingham Bands websites serves to promote the bands performances, recruit new members and also to provide information and resources for current members. Visitors can view photos audio recordings and videos of the band’s activities and performances and through a protected area, members can access private content and download music drill charts and other documents. 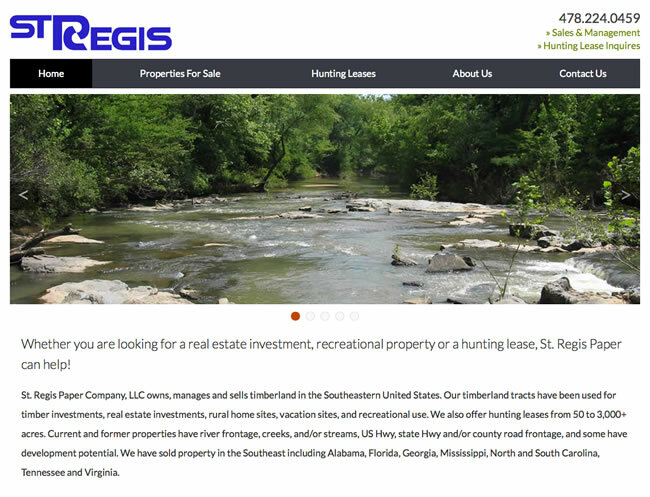 This is the third version of the website we’ve built for St. Regis. The new site is mobile responsive and features a custom Google Maps interface that automatically adds and outlines properties that are available for sale or lease. Properties are searchable in any number of different ways from location and property details to tract name and price, all managed through our custom property management tool. 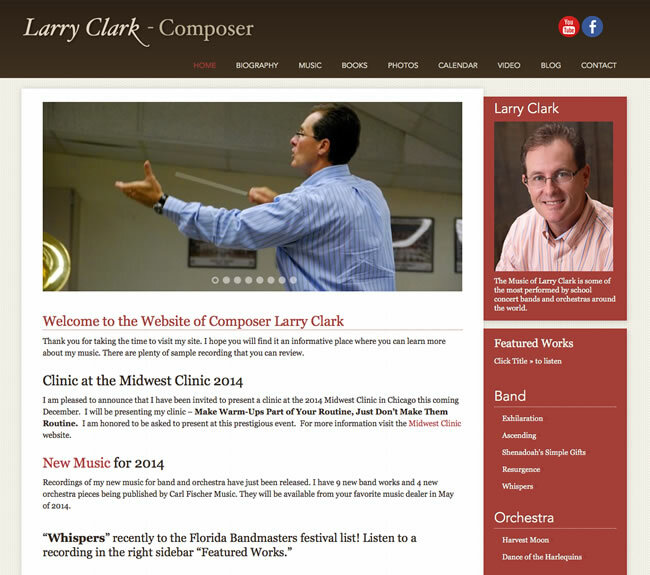 Larry Clark is a sought after composer of band and orchestra literature and is also a frequent clinician, adjudicator and music editor. His website is a showcase of his impressive collection of compositions, which are organized by type, title, and level of difficulty. Users only need to click any title to hear a professional recording of his work. This site also features a several blogs, a calendar of his upcoming appearances, photos and videos clips. 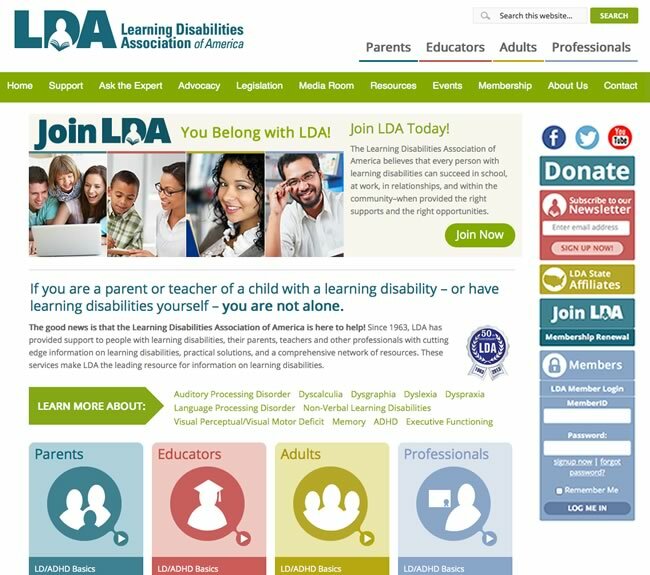 We helped LDA organize their impressive archive of articles to target Parents, Educators , Adults and Professionals, assigning content to categories which often overlapped for several groups. This helped users find information specific to their needs much easier. The site also features a complex member access, member forums, video libraries, downloadable documents and resources and pages for each state chapter.